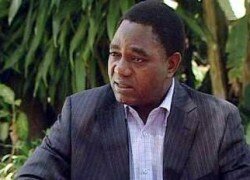 Hakainde Hichilema yesterday said that the PF government was using a parallel secret intelligence unit to victimise the Zambians with incarcerations and intimidation. Speaking in an interview at the Lusaka magistrates’ court, the UPND leader bemoaned the heavy handedness of the PF regime. “Life has become dangerous under the brutal PF regime. Journalists are being arrested, searched, chained and slapped with fake charges in order to silence them. Lawyers have become another endangered species in Zambia. Their offices are being searched with impunity. The PF government is using a secret and parallel intelligence system to victimize its citizenry,” Hichilema said. He said that it was only Zambians who could stop what was happening under the PF regime, adding that the country was bigger than individuals and politicians. And trial in the case where the opposition UPND president is charged with fabrication of false news with intent to cause fear and alarm to the public failed to take off yesterday after the state failed to bring witnesses before Lusaka magistrate Aridah Chulu. Appearing for trial in Magistrate Chulu’s court, senior state advocate CL Phiri informed the court that the matter was for trial but she was unable to proceed because she did not have witnesses. “This matter is for trial your honour but I am unable to proceed this morning because I don’t have witnesses. This is because the arresting officer was deployed to assist in the operations in Southern Province. We failed to send them summons,” Phiri said. Phiri apologised for the inconvenience caused to the court by their failure to make available witnesses causing adjournments. Magistrate Chulu informed Hichilema that the state was finding difficulties in bringing witnesses to court. “They are having difficulties in bringing the witnesses to court. So you will come back to court on November 21, 2013, don’t come for mention, just come for trial. Please the prosecution make your witnesses available,” she said. Hichilema, 50 is facing one count of fabrication of false news with intent to cause fear and alarm to the public contrary to section 67 (1) (2) of the penal code and cap 87 of the laws of Zambia. 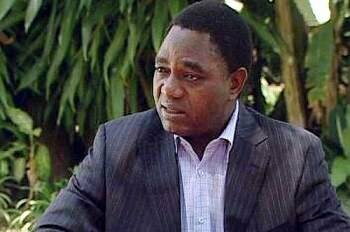 It is alleged that Hichilema on June 11, 2012 did orally publish statements in which he said the PF had signed an arrangement with militia of Sudan to train PF youths. Hichilema was quoted as saying “Prepare for trouble, do you know what is going on in Darfur? Do you know what is going on in Abyei? Do you know what is going on there? Killings” statements which are said by the prosecution to likely cause fear and alarm to the public.